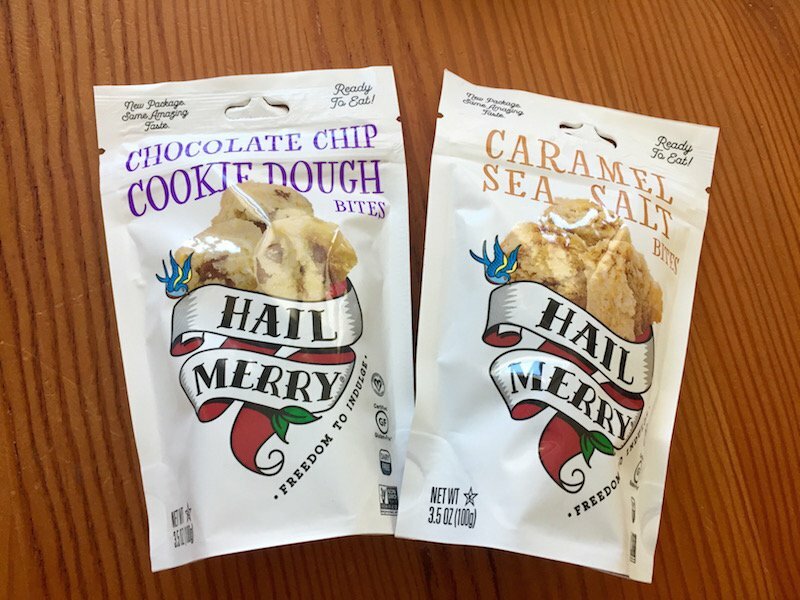 The only thing that is even slightly wrong with these decadent Hail Merry cups is that they’re small … but that’s hardly a downside, since they’re so rich that these little bites are just the perfect amount. 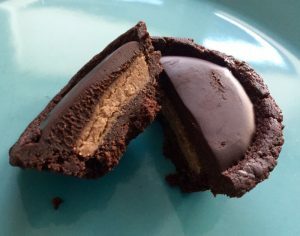 The chocolate almond butter cups will remind you of peanut-butter cups, but they are so much more: much richer and more chocolatey, and they have a tiny little cookie crust. 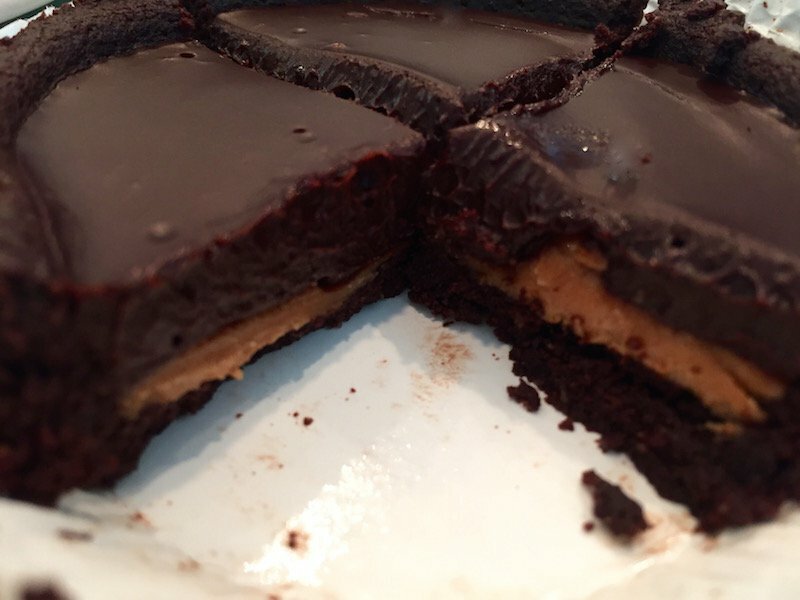 They are chocolatey perfection, and the almond butter is rich and goes so well with the dark chocolate. 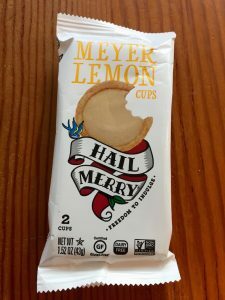 Just as delicious in a completely different way are the Meyer Lemon cups. 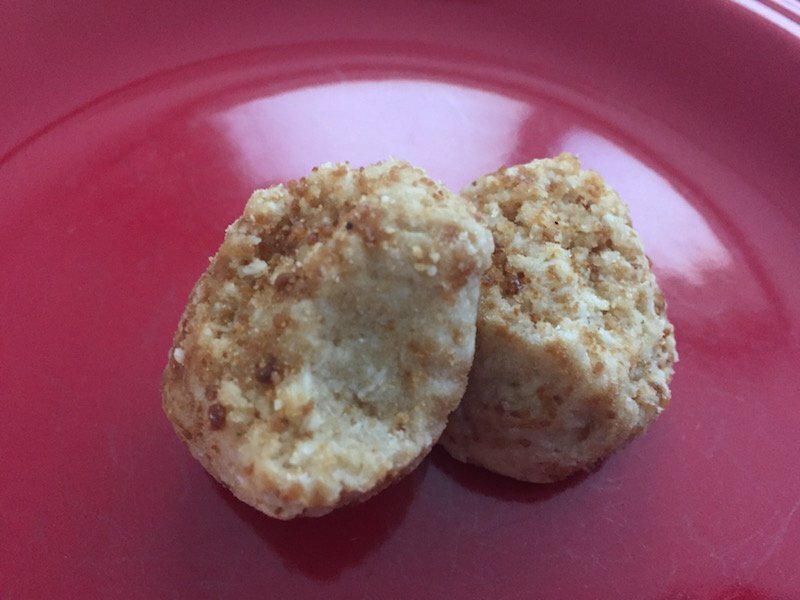 These have a tart-sweet lemony flavor that is just about perfect: a bite-sized lemon pie. Fortunately, the serving size for these is two cups (i.e., the whole package) — they are rich enough that you don’t necessarily need to eat both at once, but on the other hand, it’s sort of hard to resist. 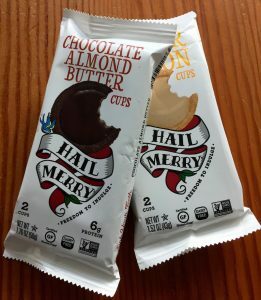 And of course if you decide that the cups are just a bit too tiny, you can get both of these flavors in the tart variety (we’ve reviewed the chocolate almond butter and dark chocolate); you’ll get the same amazing experience, in a much bigger size.